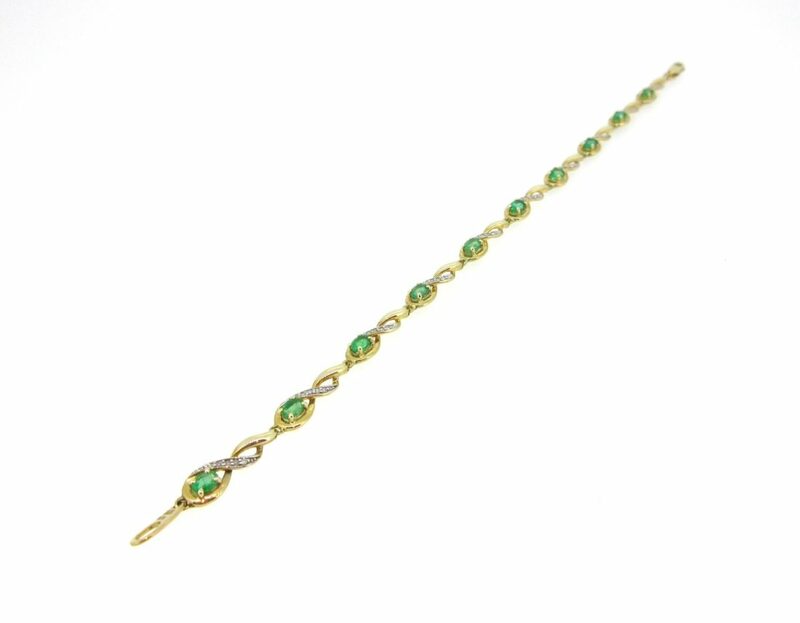 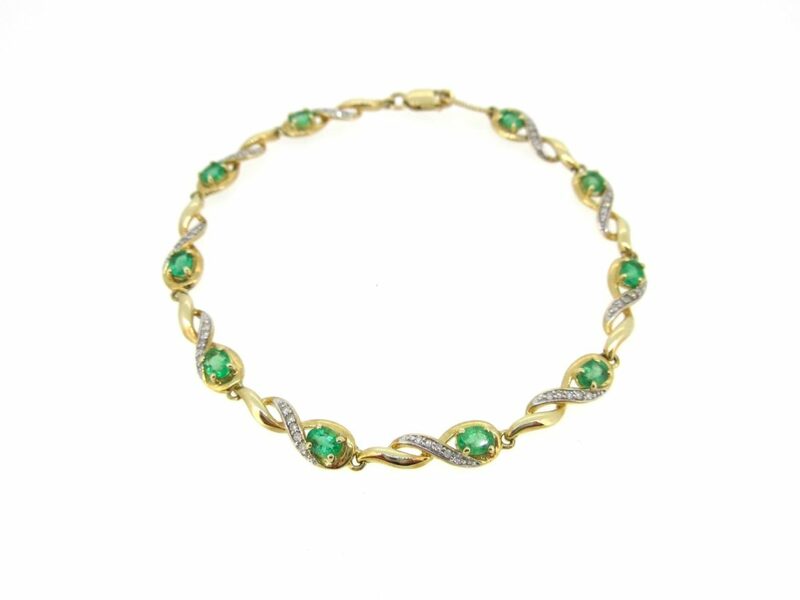 Classic 9ct gold emerald & diamond bracelet. 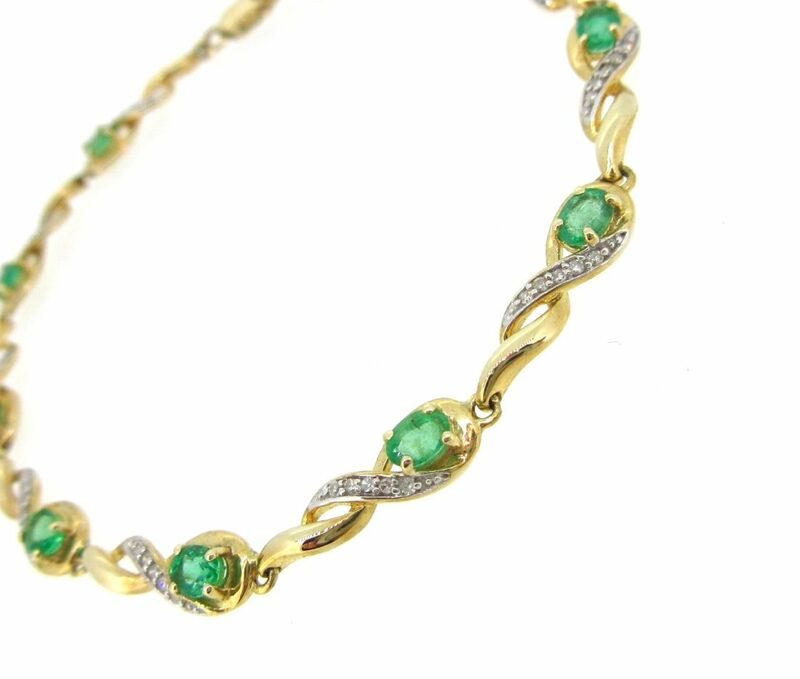 Ten emeralds with gold & diamond twist sections. 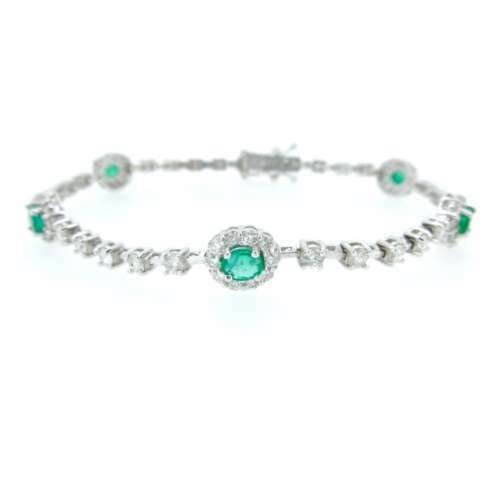 Diamond content .20ct.